Apple announce the released during the company’s quarterly conference call on Tuesday, Apple senior vice president and CFO Peter Oppenheimer revealed that Lion would be released Today. Launchpad is a new, full-screen home for all the apps on your Mac. 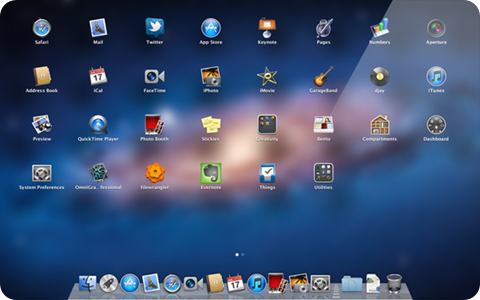 Just click the Launchpad icon in your Dock. Your open windows fade away, replaced by a full-screen display of all your apps. Arrange your apps any way you want, group them together in folders, or delete them from your Mac with ease. And when you download an app from the Mac App Store, it automatically appears in Launchpad, ready to blast off. Most common problem that I encounter in Mac is it’s maximize feature, I hope it could be resolved on this upgrade as mentioned in their site. 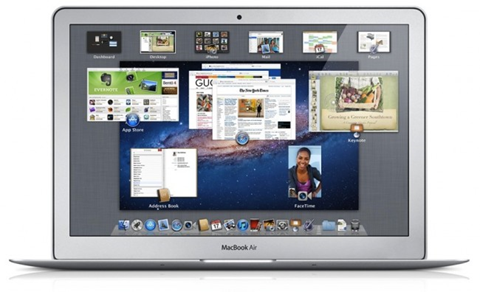 OS X will run exclusively in 64-bit mode and therefore require a 64-bit CPU. Apple proudly says that this will be the world’s most advanced desktop operating system advances even further. Tomorrow lots of reports and review will definitely float in the net. I hope it could also be available here in Saudi Arabia through Mac App Store.